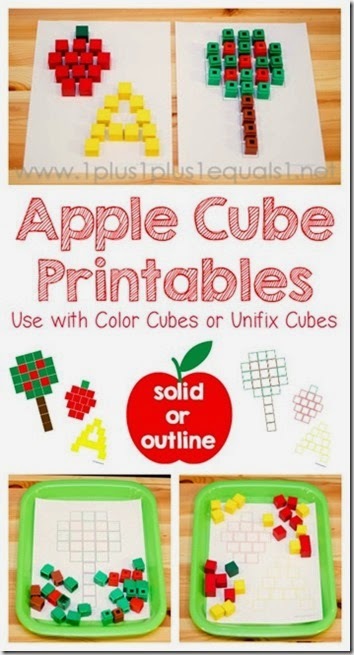 Kids will love building and learning math with these free printable apple cube printable mats. My kids love using their unifix cubes. They have been great as a counting manipulative and for understanding some math principles too. I love reusing teaching tools various ways; that way we get the most bang for our buck! Here are some great fall themed printables that will help kids create using color cubes or unifx cubes. 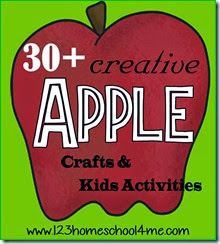 You can get the Apple Cube Printables from 1+1+1=1.